"Are you going this weekend, Granny? After all, they are honoring senior singers, and I bet you got an invitation, didn't you?" I smiled to little Melody, cause sure Granny got an invite, but Aretha Franklin knows her Granny don't like flyin' much, so she'll likely come to Cloutierville afterward to show off her big prize..
That girl, well I tell you, I remember way back when she was just knee high to a grasshopper, and sure did hop around here. That's because Louisiana, well we're where soul music counts. We birthed it in our cotton fields, where people sang when they was hurtin' and even when they loved. They sang it out of those hearts filled up with love of God in churches of the South. In Louisiana that praise music still is what we love. "Aretha," I wrote, "Thanks for the invitation to the Grammy Award; but the cold is so bad down here, I just been feelin' poorly but I hear you bounced back from that health scare a bit ago and that you tell folks you is damn happy.. But you know Granny is gettin' old and needs to stay out of the cold." 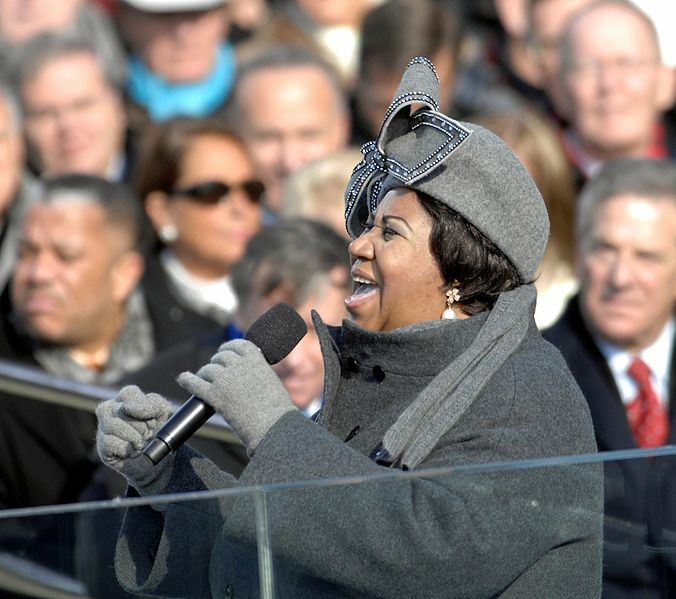 My baby, Aretha, called and said, "Granny, you tell the folks back home in Cloutierville, I'll be thinkin' bout them when I get that award, cause all those years around good people makes a body sing real well. So even if they don't say it out loud, lots of fans will know, that Louisiana down home soul music along with soul food too, can sure make a body want to sing out loud and proud, as folks say I can. I'd like to honor Cloutierville and simple folk like you."